For every Australian film like The Sapphires that makes a splash, there are dozens of other Australian films which just slip under the radar, without the backing to finance the saturation marketing required to be a hit at the box office. 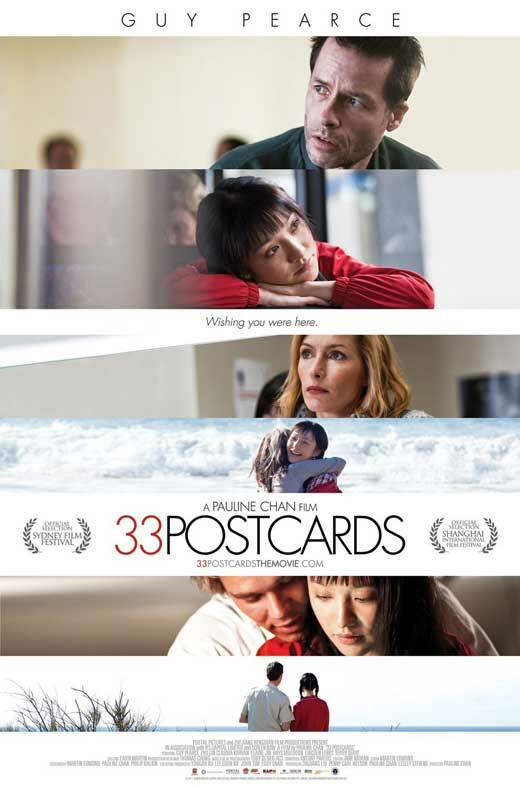 Pauline Chan’s 33 Postcards, an Australian and Chinese co-production, is one of these other films. A small drama which has made more of a splash on the festival circuit than it did at the box office, it is a well-crafted and touching film. Mei-Mei is a young girl growing up in a Chinese orphanage. She has no family. She doesn’t even have a name. Her moniker simply meaning “Little Sister.” As a result she derives much joy from the correspondence she has with her Australian sponsor, Dean Randall. When her orphanage’s choir is invited to tour Australia, Mei-Mei sees the opportunity to finally meet the man who has meant so much to her. However, when she tracks down Dean, she discovers that all is not what she has been led to believe. Dean is incarcerated in Long Bay Correctional Facility serving a sentence for manslaughter, and has been there for the entirety of their correspondence. It is great to see Guy Pearce, a genuine Hollywood actor, coming home and putting his weight behind a small film like this. He gives a restrained performance as the tortured Randall, a nice foil to the more exuberant performance of newcomer Zhu Lin as Mei-Mei. 33 Postcards is quite a lovely film about two lonely people who find comfort in each other. It explores the way that the act of sponsorship gives both characters a greater feeling of self-worth. For Mei-Mei it comes from the knowledge that she has a family, even when she discovers that family is not quite what she believed it to be. For Dean, it comes from the knowledge that, despite the mistakes he has made in his life, there is at least one person whose life is better because of him.